Remember the kitchen cart I recently purchased on a trip to Ikea? It has been set up and put to good use! The cart is super functional because it creates more storage space in our small kitchen. I also wanted it to look great though. To help achieve this, I visited my local thrift store. 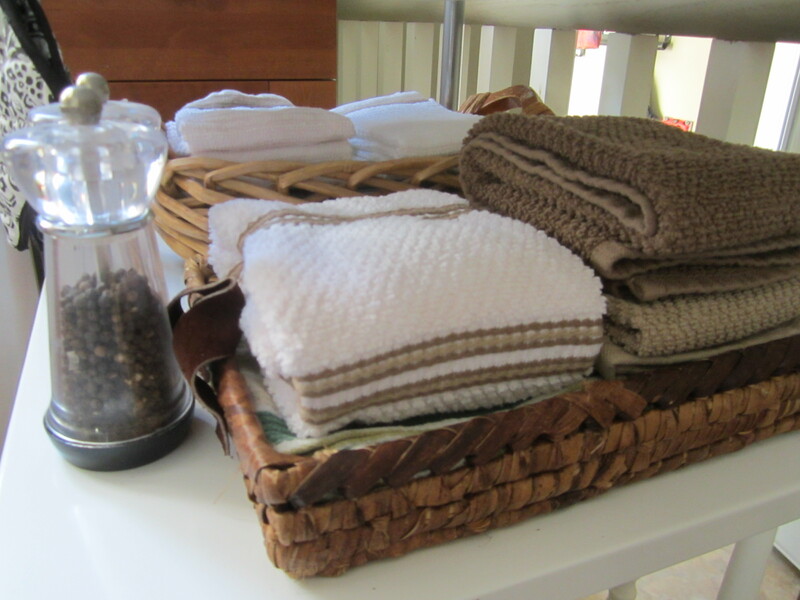 I was able to pick up the storage baskets I used for the dish towels and dish clothes for $0.99 each (the basket on the bottom shelf was already in our basement collecting dust). I was also able to find the display bowl, which I’m using for our coffee pods, for only $1.99. 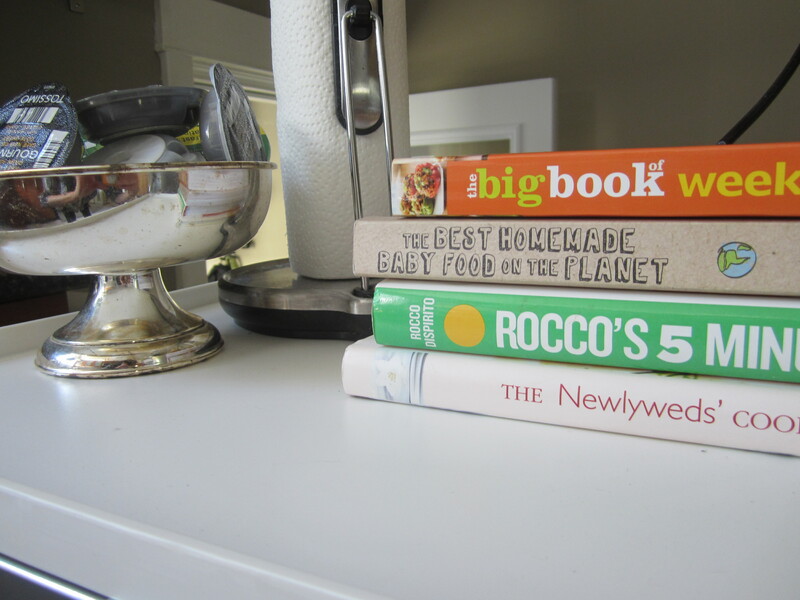 are a great way to organize and de-clutter and buying them second-hand is great for a budget! 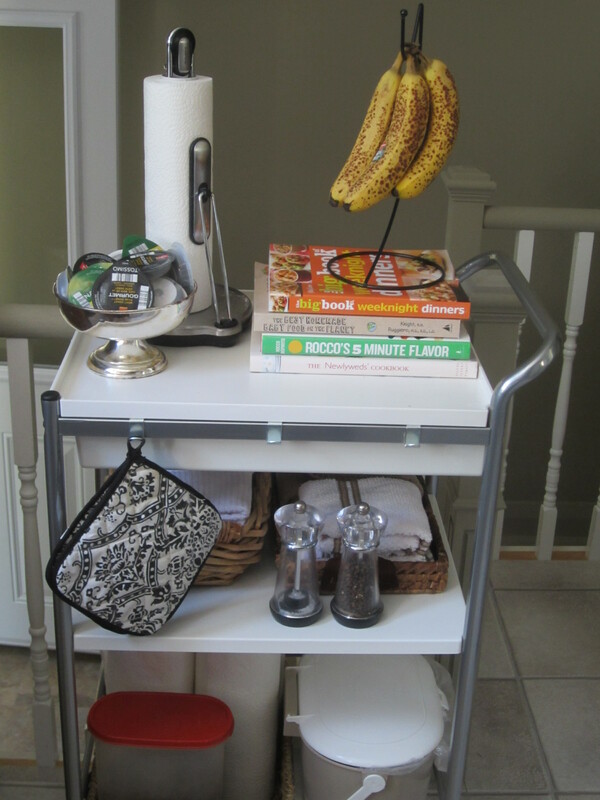 Other items now calling this kitchen cart home are our organics composting bin, the cat food, some paper towel rolls, our salt and pepper shakers, my favourite cook books (which I don’t use very often 🙂 ) and some bananas!